How much time do you spend thinking about snails each day? I can’t say I have thought about snails for a very long time! You may know that in many places, snails are a delicacy. They are also not known for being very quick moving creatures! But there is one snail that is quite unique and fascinating. 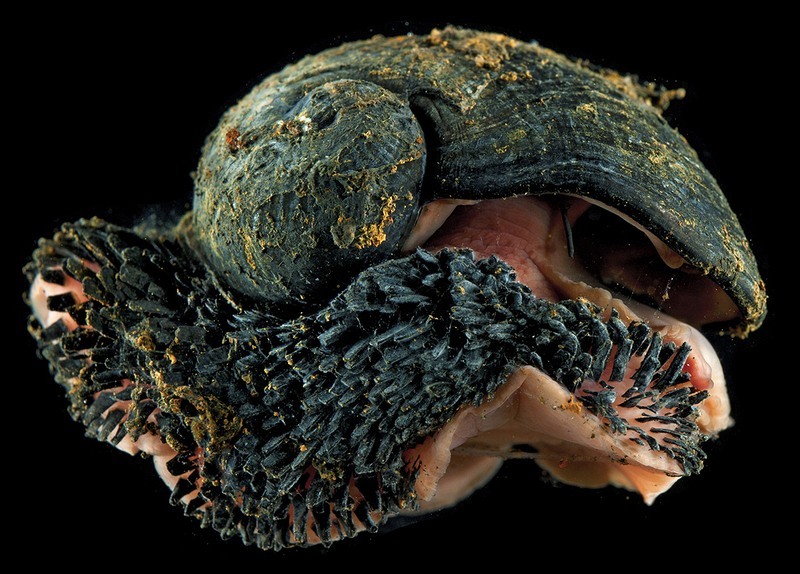 Deep in the Indian Ocean, near extremely hot hydrothermal vents, where scalding hot water erupts in tall, blacky columns, lives an extraordinary species of snail called chrysomallon squamiferum, commonly known as scaly-foot gastropod. 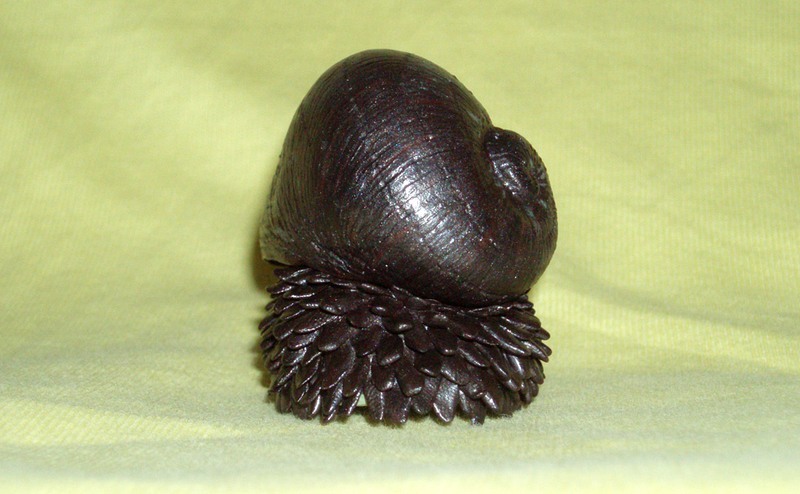 The harsh environment has caused the snail to develop a unique exoskeleton. Its outer shell is covered with a layer of iron, and its soft fleshy foot that protrudes from the under the shell is protected by hard mineralized scales made of iron sulphides. 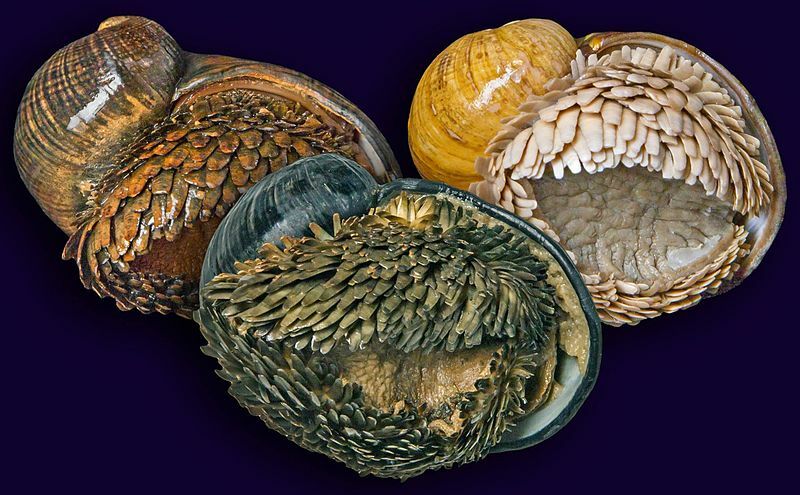 Scaly-foot gastropod is the only animal on Earth known to utilize iron in this way. Scaly-foot gastropod was first discovered in 1999 at a depth of over two kilometers in central Indian Ocean, deep within hydrothermal vent fields. The water in these vents are high in sulfides and metals, which the snails have incorporated into their shells. The entire animal is covered in iron compound, mainly pyrite, also known as “Fool’s gold” and greigite. 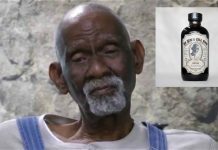 As greigite is magnetic, the animal actually sticks to magnets. The gastropod’s shell is composed of three layers. The outer layer is about 30 μm thick, and is made of iron sulphides. 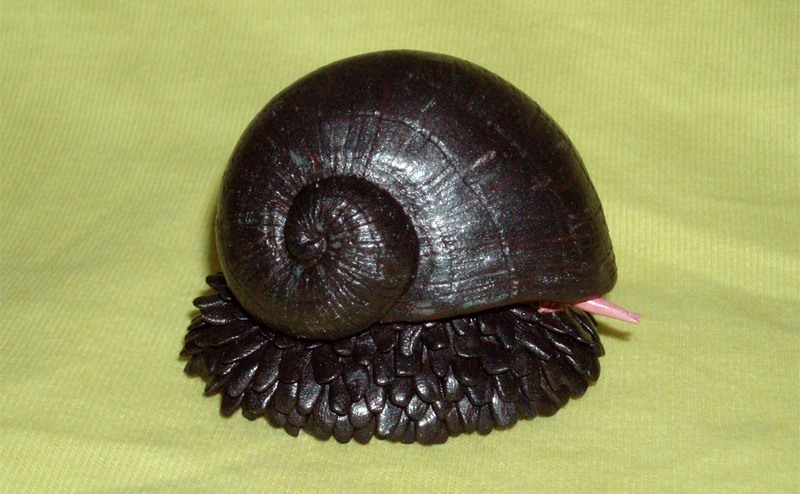 The middle layer is equivalent to the organic periostracum, a thin protein coating found on other snail shells, and is also the thickest of the three (about 150 μm). The innermost layer is made of aragonite, a form of calcium carbonate that is commonly found both in the shells of molluscs and in various corals. 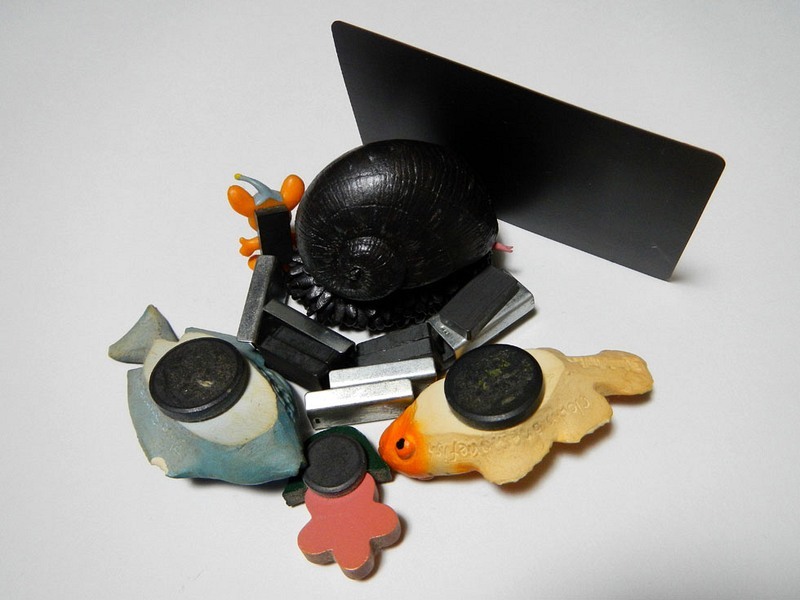 Each layer appear to contribute to the effectiveness of the snail’s defense in different ways. The outer layer of iron is designed to crack when hit, but in a way that absorbs energy, while also blunting and deforming the predators’ claws. The middle organic layer acts as padding to dissipate further the mechanical strain and energy generated by a squeezing attack, such as by the claws of a crab, making it less likely that the mollusc’s brittle inner shell will crack. 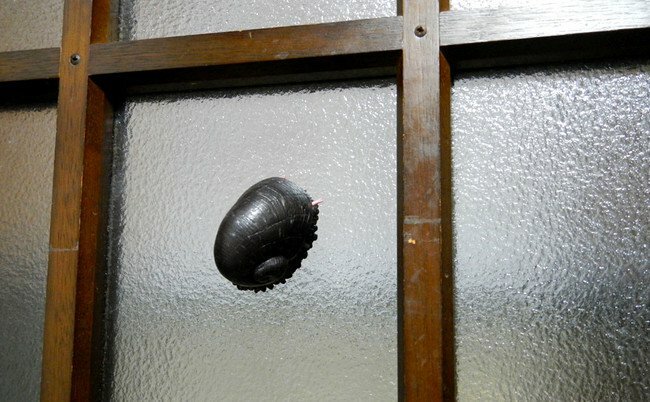 The armor is so effective that the United States military is currently funding research on the armor of the snail in hopes of developing insights into new military armor designs.